Wavelength is set to become an iconic residential development in MediaCity UK with its striking eight to twenty-storey stepping design. 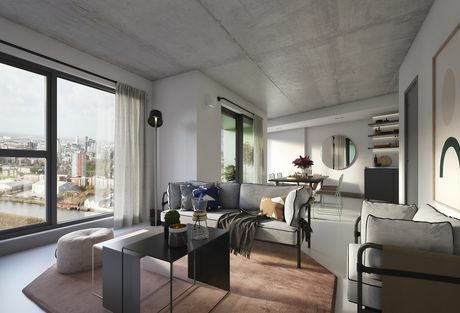 Wavelength will comprise of 450 one, two and three-bedroom apartments, with each unit featuring bright open living areas and high specification finishes. Perfectly located in part of the thriving waterside community of Salford Quays, Wavelength is just a stone’s throw away from MediaCity UK. Likewise, located close to Wavelength is the Metrolink where residence can gain access to Manchester city centre in 10 minutes. This means residence of Wavelength have a mix of heritage, world class entertainment, leisure facilities and bespoke bars and restaurants. If you would like more information on Wavelength please email enquiries@hopwoodhouse.com or call +44 (0) 161 337 3890 to speak to a sales consultant.